Some hints from experienced but casual PvP gamer on mindset that can help you get more from the game. Some hints from experienced but casual PvP gamer on mindset that can help you get more from the game. By no means the intention of this guide is to cover all aspect of gameplay. It's just a spontaneous list of things that I have discovered during my AW experience. Things like ammo selection, retrofit configuration or commander leveling are deliberately not included. Important note would be that those advices are aimed at casual gamers and are more focused on psychological side of the gaming experience then technical with only PvP game mode in mind. Spend some time in the garage before battle. It's a beautiful looking game with lots of details. Think about which vehicle would fit your playing mood the best. Are you tired? Play some slow heavy tank. Do you feel full of initiative? Select some fast-moving flanker. Once you selected the vehicle, spend some time studying it. What caliber gun does it have? What are the projectile speeds? What is the armor? Read the vehicle info page, it's actually pretty interesting and will greatly improve your immersion and consequently playing satisfaction. You can set the base paint for any vehicle for free. It doesn't change any game parameters but it will make your vehicle look even cooler in battle. Once the pre-battle countdown starts, use that 30s for preparation. Study both team vehicle setups. It greatly influences the play style that will follow. 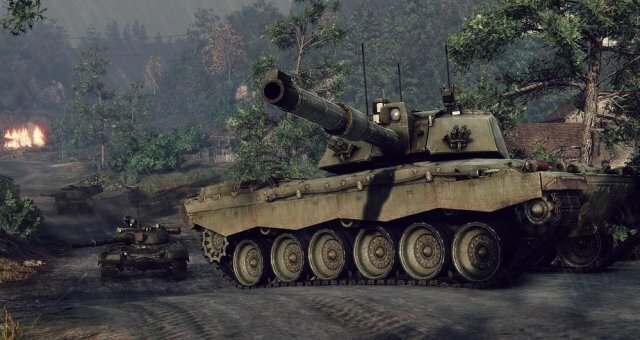 Are you the vehicle with best armor? You should be carrying the attack. Are there any outstanding spotters on the enemy team? You should be aware that you are in a danger of being detected before even seeing enemy. Are you bottom tier? Find some promising player on your team and plan how to help him. Think about the map strategy. Where will you be heading once the battle starts? Where do you expect the main confrontation to happen? That said, when the pre-battle countdown reaches zero, you should start rolling, not finishing your youtube video. First seconds can give you edge and not even mentioning how disrespectful toward your team it looks like when you came late to the battle. Positioning! Very important. Use cover and height advantage. Use tank wrackages as cover. Make your minimap larger and check it constantly. It will greatly improve your situational awareness. You should always have an idea where your teammates are and where enemy is. Any well, where you are. If you are spotted by unknown enemy - retreat to cover. Seriously, stop whatever you were doing and retreat to cover. I can't believe how many times I was granted free, easy damaging shots just because enemy finds it convenient to stay on position just for a few more seconds. Play your vehicles according to their class and performance. Obviously you should not be sniping from the top of the hill in your Chieftain. But you could do something like that in Leopard, depending on situation. When in light vehicle with great spotting radius, use it to spot and mark enemy vehicles for your teammates. If you rush into enemy territory you will probably die without being useful for your team. Fire discipline plays a great role here. Mind your camo status bar. Be flexible. It's completely ok to relocate to another front if you can't find your role on current one. Or if you are facing opponents with strong positioning. It's easy to get carried away and try to fight your way no matter what but it just doesn't make sense sometimes. And lastly, do not play for xp or credits. Those are artificial rewards and it's a trap. 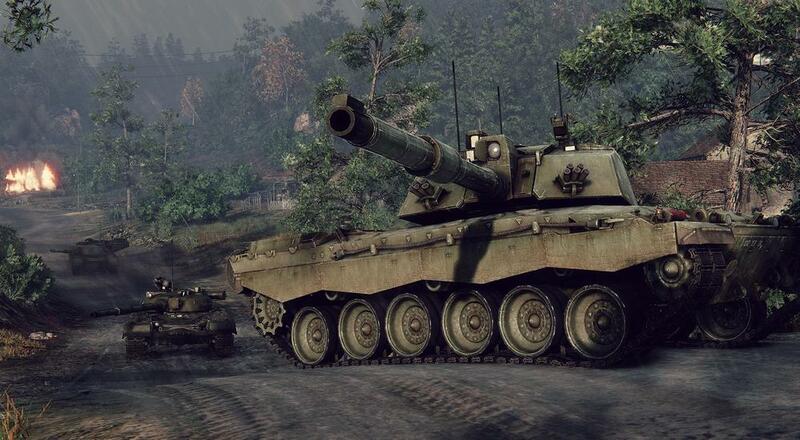 When you play new higher tier vehicle you will be matched against higher tier vehicles but this time with more experienced players. So if you are satisfied with your performance on current tier it does not make sense to go higher. What should matter is your current enjoyment. Ask yourself a question: Did I really enjoy last match. If yes, why not playing the same vehicle again and get even better and get even more satisfaction. If not, think about what went wrong and how to improve there. Simply rushing up the tiers is not the solution.